Radisson Blu Plaza Hotel Sydney is celebrating after a successful night at their recent 8th Annual Gala night (Sep 7). Held at The Radisson Blu Plaza Hotel Sydney in the prestigious Marble Room, the event was hosted by MC Gareth McCray OAM, widely known from 2CH radio and featured Catherine Alcorn and junior violinist, Anastasia Hibbard for the night’s entertainment. The evening raised $54,401 for The Infants’ Home where the money will be used to purchase a community playgroup bus. 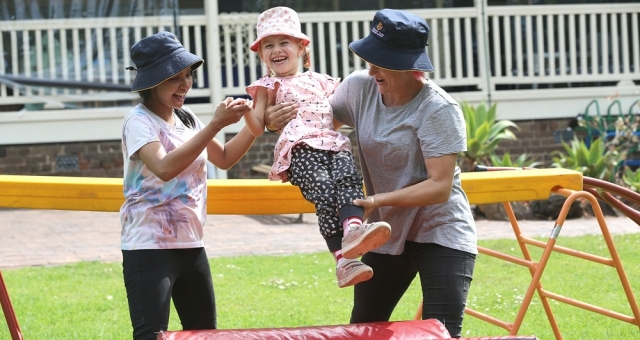 The Infants’ Home is an integrated service based in Ashfield, NSW, available to infants and their families whom require education, health, day care and early childhood intervention services. The hotel and their partners donated all the services for the evening including food, wine, AV support, entertainment, room design and prizes allowing all the funds raised to go to the charity. In addition, the staff donated their time to support the event throughout the evening. Radisson Blu Plaza Hotel Sydney General Manager, Peter Tudehope said: “This is the eighth year that Radisson Blu Plaza Hotel Sydney has held the Gala Dinner. “It is our major fundraising opportunity and is our way of giving back to the community who support us. “This is part of our commitment to a 5-year plan to support organisations or charities associated with children – progressing through various life stages from premature babies through to adolescence. “The Infants’ Home helps over 2,500 children each year, with 30% of their on-site services devoted to children of neglect, abuse, hardship, disabilities, and other vulnerabilities. “We are delighted to be supporting The Infants’ Home to help improve the quality of life of vulnerable infants and those with special needs,” Tudehope said.